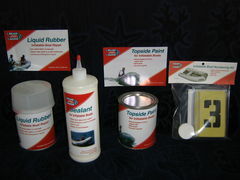 Inflatable boat repair and dingy repair products, glue and paint . Inflatable boat repair and dinghy repair products, restore paint, repair kits, patches, glue, accessories and repairing information. Repair, reseal, renew...and save money! Inflatable boat repair information, kits, fabric, glue, tube sealant, restoration paint, repair products. 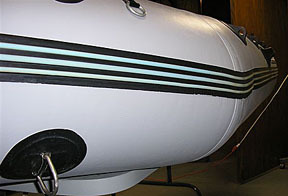 Inflatableboatrepairs.com offers inflatable boat repair products, restoration paint, repair kits, glue, PVC and hypalon fabric, dinghy patches, inflatable boat sealer, dinghy paint, inflatable boat paint, and other inflatable boat and rubber dinghy repair products, accessories and repair information. You can easily repair your inflatable boat and its punctures, tears, scratches, faded fabric and more, be it either in Hypalon or in PVC fabric. Spend a small amount of money on repairing and renewing your inflatable boat, kayak, canoe or rubber dinghy, and save money over buying a new expensive inflatable dinghy. Why throw out your inflatable boat, spend hundreds $$ in expensive repairs at a shop, or thousands to buy a new tubeset or inflatable boat, when you can repair, renew, or restore your inflatable boat yourself and save money! Sticky PVC Fabric? If your PVC inflatable boat is sticky from UV rays, add a protective coating easily and inexpensively. View products here. Slow Leaks? 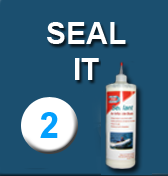 If your inflatable boat has slow leaks and loses air over a period of a day or 2, then try our tube sealer liquid. View products here. Holes or Tears? 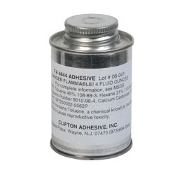 If your inflatable boat has holes or tears, you'll need PVC or Hypalon repair fabric, glue, or a complete kit. View products here. Loose Accessories? If your inflatable boat has fabric or parts coming loose, you'll need glue, or a complete repair kit. View products here. Chaffed fabric? If your inflatable boat has chafed fabric, abrasions, and damage, you may need to re-skin its outer layer. View products here. Peeling Fabric? If your inflatable boat's top layer of Hypalon fabric is peeling off, re-skin it easily and inexpensively. View products here. Faded Fabric? If your inflatable boat is looking faded or you want to change the color, repaint it easily and inexpensively. View products here. Color change needed? If your inflatable boat or inflatable kayak needs a new color, repaint it easily and inexpensively. View products here. Minor Restoration? 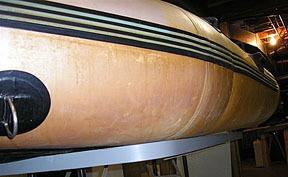 - If your inflatable boat needs some fabric repairs, and you may want to do a minor restoration. View products here. Major restoration? If your inflatable boat is in rough shape with abrasions and scuffs, you may want a major restoration. View products here. ID Numbers? 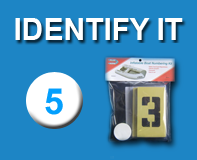 If your inflatable boat has no ID numbers, consider putting them on to avoid theft and abide by the law. View products here. Damaged rigid hull? If your inflatable boat's rigid fiberglass hull has scratches and gelcoat damage, apply a keel guard. View products here. Damaged propeller? Protect your propeller from damage, and protect swimmers and sea life too, with a propeller guard. View products here. 5 Steps to a Complete Inflatable Boat Restoration. If you want to do a complete restoration, here are 5 key steps to consider. rubber to reskin the outer layer of tube fabric. This can be used alone or painted over also. These inflatable boat and dinghy repair products and repairing information are for the dinghy boat owner who wants to renew their inflatable boat without spending lots of money on expensive repairs or having to buy a new inflatable dinghy. 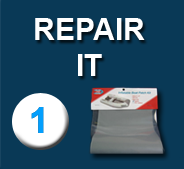 We offer several repair products and accessory solutions for inflatable boat and dinghy fixing while saving you money. Review inflatable boats all in 1 location by reading these inflatable boat articles. Research and learn how to use, maintain, buy and sell inflatable boats, inflatable kayaks and related products and accessories. Read them here. From the family run websites you have come to know and trust over the past 20 years. Inflatable boat repairs, repair kits, parts, accessories, paint, products and information for repairing dinghies and inflatable boats.